In a large pot, cover 10 eggs with water and bring to a boil for one minute. Turn off heat and let sit for 14 minutes covered. Drain water from pot and fill back up with ice cold water. Once cooled, peel eggs and cut in half. Reserve egg yolks separately from the whites. 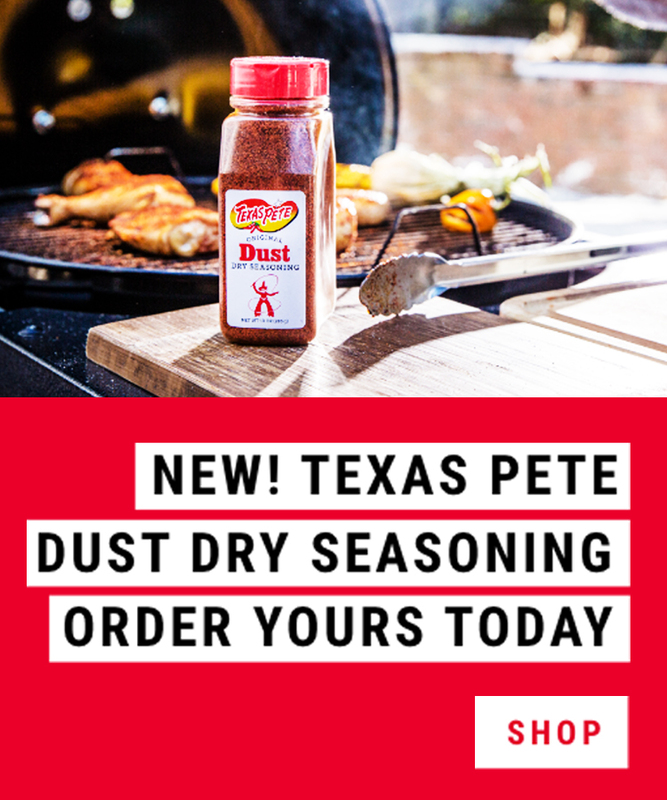 In a medium bowl, thoroughly mix pimento cheese, mayo, egg yolks and ¡Sabor! 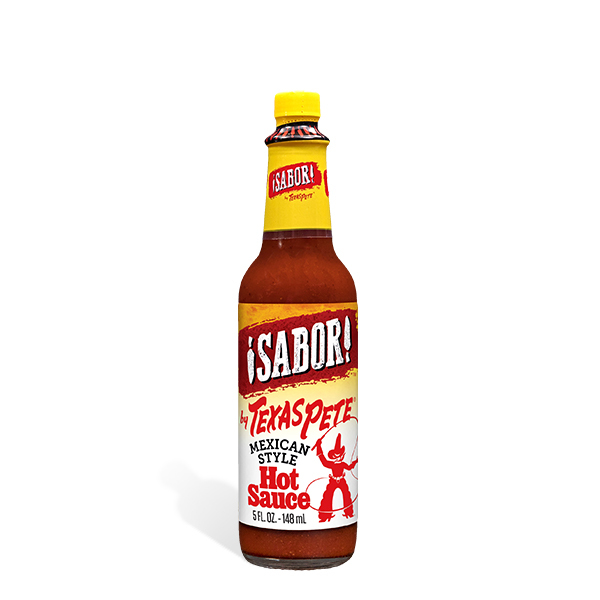 by Texas Pete® Mexican-Style Hot Sauce. Fill a piping bag with egg mixture or use a spoon to fill each egg white. Garnish with chives, a radish slice and candied bacon.